I am so happy we live in such a beautiful city like Muskegon, Michigan. We have the privilege of experiencing beautiful sunrises and sunsets. 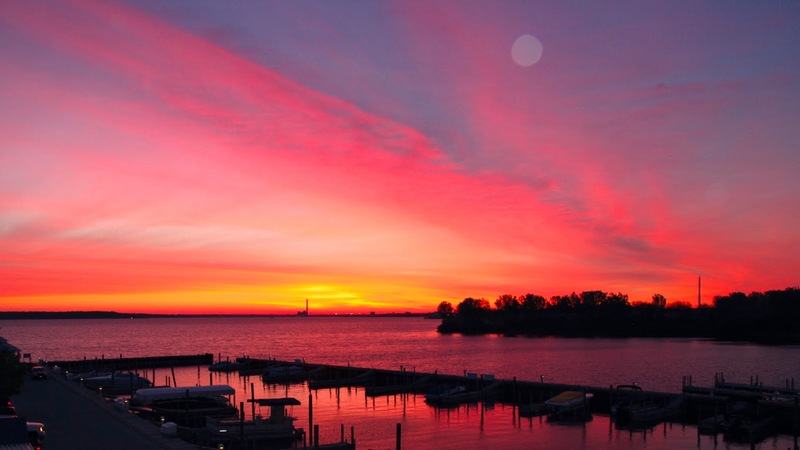 This picture happens to be of a sunrise taken this morning on Muskegon Lake looking straight at the B.C. Cobb Plant where Mark spent the last 32 years working.